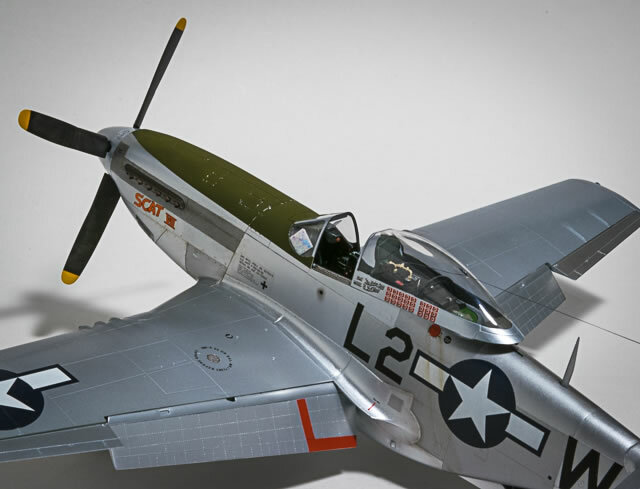 Revell's 1/32 P-51D Mustang is available online from Squadron.com for USD$23.99! 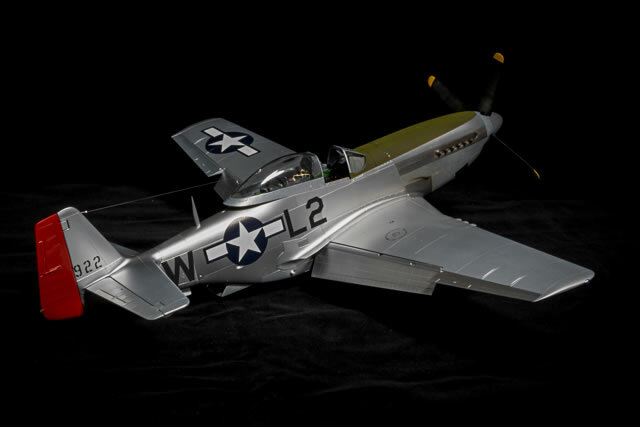 Recently, I had an opportunity to build Revell Germany’s new 1:32 P-51D. 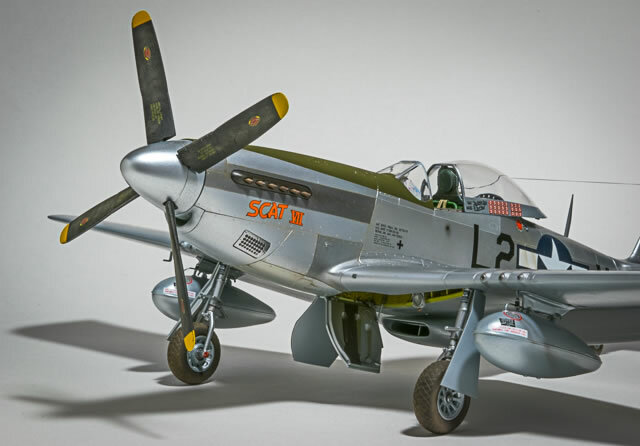 It is a great kit with some really nice detail including cockpit placards, instrument and stencil decals designed by Roy Sutherland. 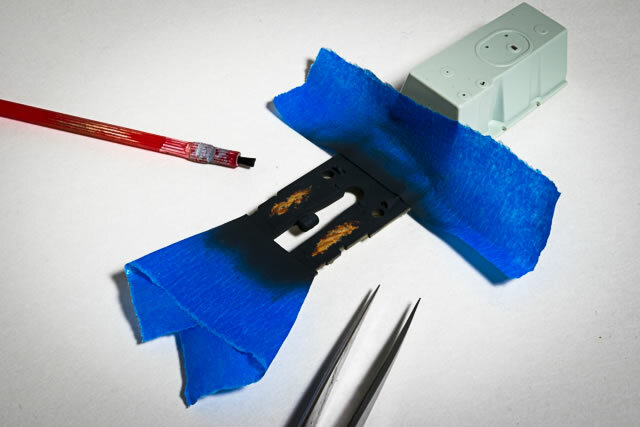 It does require some extra work in certain areas, but that has to be expected given the extremely reasonable price point for the kit. They are a little scarce here in the States, but I expect more will be coming through the pipeline soon. Here is a simple technique that will add a bit of character to the excellent cockpit. P-51Ds had a wood floor covered by a black non-skid surface. With a few simple techniques, you can simulate the non-skid surface worn away by the pilots’ feet to reveal the plywood underneath. Photo 1- The first step is to paint the floor area with a suitable base color for plywood. 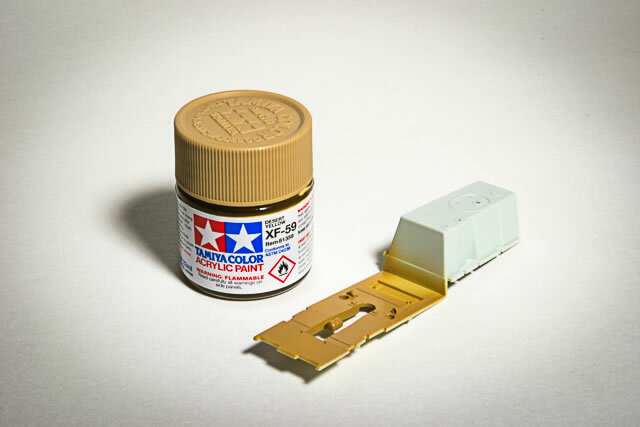 I used Tamiya XF-59 Sand Yellow. Photo 2- Next, add the darker color for the woodgrain. Any reddish-brown tone will do. I used Vallejo Red Leather. I used a fine brush to apply the lines of the darker woodgrain, looking at a picture of plywood I found online to get a sense of the pattern. Keep in mind, you’ll only be seeing a glimpse of these colors so don’t obsess! Photo 3-Next, mask off the cockpit floor leaving just the wood portion exposed and spray a coat of MiG Heavy Chipping Effects. You could also use hair spray for this like Aquanet or use a sponge to apply making fluid in the area where the pilots’ feet would wear the surface. 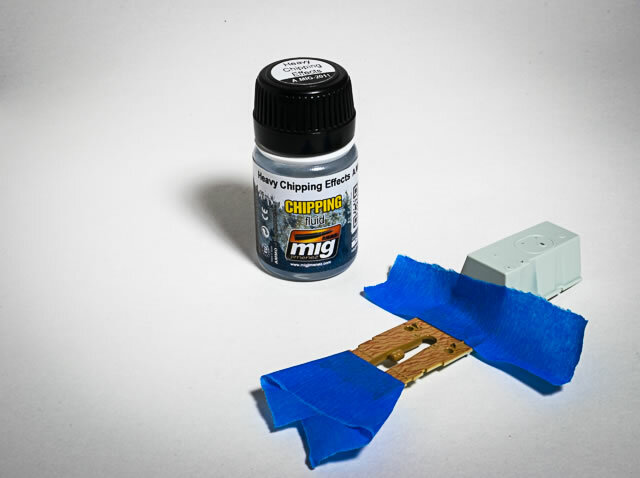 Photo 4- When dry, spray the dark gray non-skid color. I used Tamiya XF-1 Flat Black lightened with a touch of XF-2 Flat White. 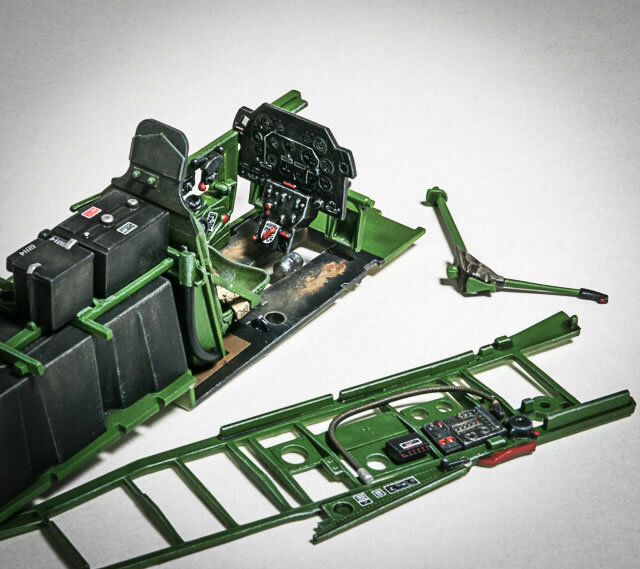 As soon as it is dry to the touch, use a cut down paint brush and water to work away the dark gray color in the area where the floor would be scuffed in front of the rudder pedals. Photo 5- Finally, finish the rest of the cockpit as you normally would. I added a dark brown wash and MiG European Dust pigments to add a bit more wear. Photo 6- I think little touches like this add an extra touch of authenticity to the great detail the kit provides. 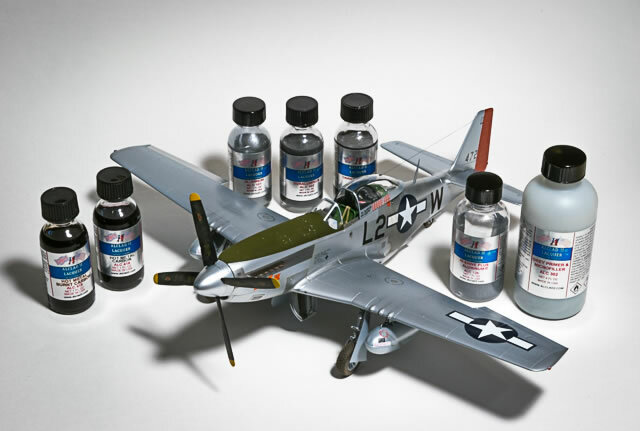 With a little work Revell Germany’s 1:32 P-51D builds up into a great replica and was a perfect test bed for Alclad II’s new Hi-Shine Plus color. 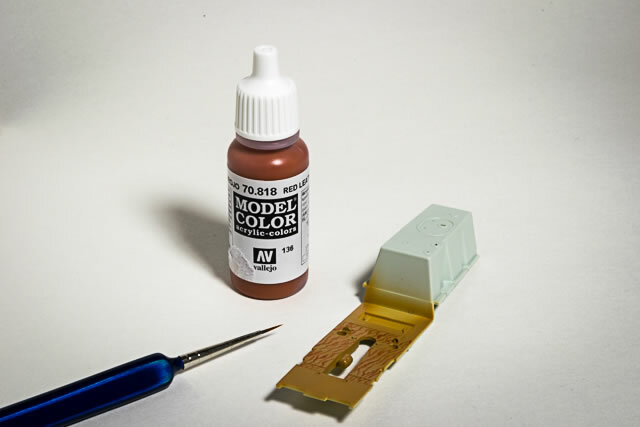 It requires the use of primer which was a great solution since the kit plastic has swirls and a slightly rough surface texture and really needs a primer anyway. 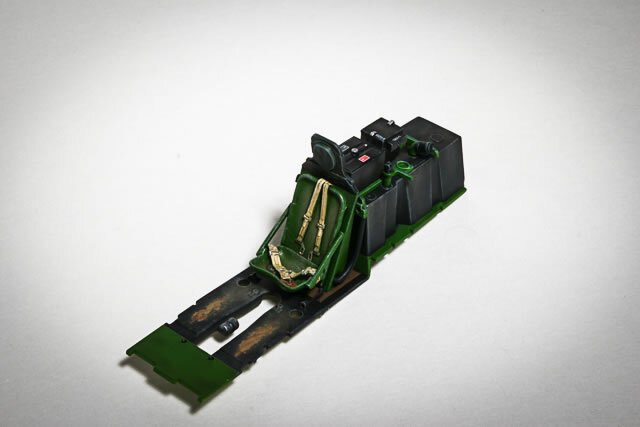 A full description of that process will be showing up in an article in Military Illustrated Modeller soon.